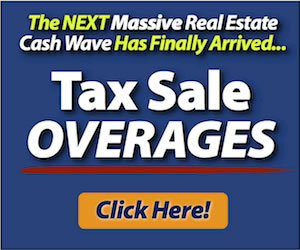 Tax Sale Property Where Government Pays Itself Rent? 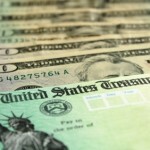 Tax Sale Property Collects From, and Then Pays the Government Rent! I hope the writers of “The Onion” (sarcastic newspaper) have taken note of this one in their tax sale property column. They have my permission to reprint this post in its entirety. I have a feeling they won’t have to change a word to publish it along with their other fake articles (though everything I will say here is true). That’s how unreal this story is. I bought a tax sale property from tax lien investor recently, and it had an upstanding Section 8 tenant currently residing in the property. The tenant was receiving $475 per month in rental payment assistance from Section 8 – the federal government. This tax sale property had been obtained from a second-chance leftover sale – here’s how you can get some good deals there. Shortly after obtaining the property, my attorney got a call from the former owner of the property. He wished to buy it back for little more than I had paid (I declined). Instead of sending the payment to the owner, Section 8 had begun sending the $475 rental payment to the IRS to help satisfy the owner’s IRS tax lien, which we later discovered was well into the five-figures. A couple federal agencies (HUD and the IRS) finally communicating with each other, helping each other out, right? This made me nervous, as the IRS could still redeem the tax sale property even though the redemption period for the property had passed. Any time the IRS has an income tax lien against a former owner of property lost at tax sale, they get an additional 120 days to redeem the tax sale property. They never do, and this was no exception. Like any other creditor, they get notice of tax sale proceedings. Surely, they would redeem the property at a cost of roughly $2000 to continue their payment stream from HUD of $475 per month, right? No brainer? Nah. Asleep at the wheel as always, the IRS let their opportunity to continue their $5000+ per year payment stream slip by. It was then I realized, it was really for the best that this tax sale property went through the system. CAN YOU IMAGINE THE WASTE? Let’s trace the flow of a single dollar as it made the circuit through the governmental bodies involved in this scenario before this became a tax sale property. 1. Honest wage-earner gets taxed: A hard-working American works 1 hour and gets taxed on his income. $1.00 is taken in by the government. 2. The dollar is routed to HUD, who administers the Section 8 program. I would conservatively estimate the loss here at 10%. Remaining: 90 cents. 4. 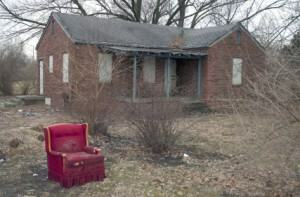 East Chicago Housing Authority routes the rental payment back to the IRS, WHERE IT ORIGINALLY CAME FROM!!!!! I’m sure there’s an additional expense of 10%+ to do this. Bottom line, the IRS paid itself, and 50% or more of the money taken in vanishes in goverment expense and waste. This is a case where a house becoming a tax sale property was truly a good thing for all. 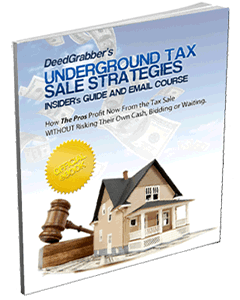 Get tax sale property before the sale and eliminate bidding – get my report, “Underground Tax Sale Strategies”, below.